A portion of Wyman Park Dell, a park south of Homewood Campus and the former site of a Confederate monument, was rededicated to honor Harriet Tubman. The rededication ceremony took place on Saturday, March 10, which marked the 105th anniversary of her death. Update: This article has since been updated to include a statement from the University. The Osler Medical Symposium (OMS) kicked off its first event, “Baltimore in the 21st Century: A Commissioner’s Perspective,” on Friday, March 2 in Gilman Hall. OMS is a new student-run speaker series that aims to bring high-profile guests in the field of medicine to Hopkins. The series is named after William Osler, one of the four founding physicians of the Hopkins Hospital. The Rhodes Scholarship, which funds studies at Oxford University for recipients, announced on Feb. 19 that it will be expanding the program by adding two additional scholarships for students from anywhere in the world. Until this year, Rhodes Scholarships were only available for applicants from select countries. Only four months remain until the primary elections for Maryland’s gubernatorial race. Seven Democrats have announced their candidacy for governor and plan to run against Republican Governor Larry Hogan, who is expected to seek re-election. Since 2015, several colleges and universities have called into question whether they should take back honorary degrees they had previously awarded to comedian and actor Bill Cosby. Over 50 women have accused Cosby of sexual assault. His first trial last June ended in a mistrial and he is set to appear in court again in April. Last September, I woke up early on a Thursday morning and took an Uber to the Planned Parenthood clinic in central Baltimore. If you are a woman, how do you navigate a male-dominated industry? That was the question on my mind when I decided to take the stand-up comedy class last year during Intersession. I was interested in seeing whether I could make people laugh, and testing that out in front of 800 people seemed like a good idea. After soliciting feedback from concerned student groups, the University released a revised version of its suggested guidelines for free expression on Jan. 29. At a packed Baltimore City Public Schools (BCPS) board meeting on Tuesday, hundreds of parents, teachers and students gathered to voice their outrage over heating problems that have affected classrooms since schools returned for the new year. During my flight home to San Francisco over Thanksgiving break, I sat bent over my tray table for six hours, reading it with tear-blurred eyes. In an interview with The News-Letter on Tuesday, University President Ronald J. Daniels shared his thoughts on mental health, campus security, the University’s endowment and the second Commission on Undergraduate Education (CUE2). 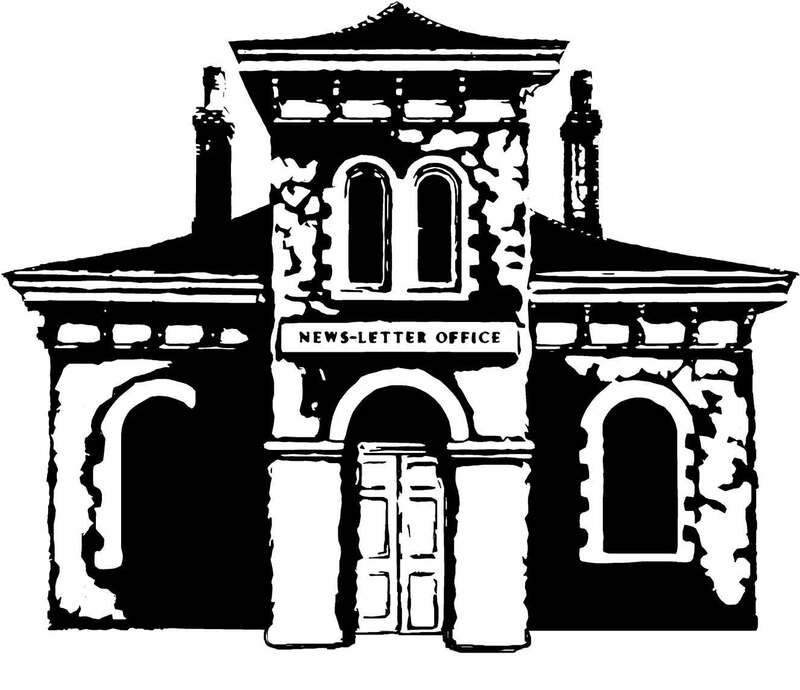 How was The News-Letter made before computers? Just 30 years ago, News-Letter editors produced a paper every week without templates, computers or even the internet. Production was a physical process, according to former Editor-in-Chief Brad Handler, who graduated in 1988. Hopkins is one of over 100 colleges and universities named in the Paradise Papers, a set of 13.4 million documents that shed light on how the world’s wealthy and elite hide their assets in tax havens. What should the library do to address seat saving? Many students struggle to find a space to study in Brody Learning Commons or the Milton S. Eisenhower Library (MSE), especially during exam season. Often, students save themselves seats by putting down their belongings and then leaving for extended periods of time, preventing others from using these spaces. Trevor Noah, host of The Daily Show, spoke with John Eligon, a national correspondent who writes about race relations for The New York Times, as part of “Get With the Times,” an event co-hosted by The Times and the Medill School of Journalism, Media, Integrated Marketing Communications. How does Hopkins support fellowship applicants? Every October thousands of students apply for fellowships to explore new opportunities in their field of study. Should the City rededicate its Columbus monument? After celebrating Columbus Day on Monday, Baltimore community members are debating whether a recently vandalized Christopher Columbus monument should be rededicated or renamed. Last semester, the University formally recognized IX Society (IX), which was previously an “underground” local organization established eight years ago. As a recognized student group, it will receive resources like liability insurance and training on hazing prevention and drug abuse.